Stephen Joseph Soli, Sr., CPA, with over fourty years of experience in providing small and large business accounting services. 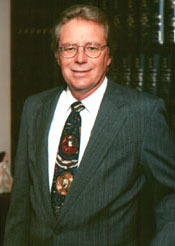 Mr. Soli graduated from Northern Illinois University in 1969 with a Bachelor of Science degree in Accounting. For over three decades Steve has provided accounting and income tax services through his practice in Phoenix and subsequently, since 1988, in Green Valley. Upon assuming the responsibilities of managing the firm of Black & Soli, P.C., CPA Steve realized that the firm's clientele needed a firm that provided more than just tax preparation. At his direction, the firm employs the highest quality staff with a philosophy of being constantly aware of the client's financial welfare, not only in income tax needs but financial planning, estate planning, and general financial well-being. Steve has intervened for clients on several occasions where he has felt a need to do so in order to protect the client from certain unscrupulous people who tend to take advantage of older citizens. Steve's philosophy is to establish a long term relationship early on while the client is in good health; get to know that client both personally and financially in order to be able to provide enhanced services as the need arises, always keeping the client's best interest foremost. 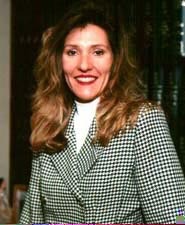 Betty L Soli, CPA, MBA has thirty years of experience in all aspects of accounting, including corporate, partnership and non-profit taxation. Betty is a native to the Green Valley area and has been with Black & Soli, P.C., CPA since 1984. Having lived and worked in the Green Valley area, Betty has a unique understanding of the client's needs and the community's business environment. Betty performs the multiple duties of income tax preparation, office management, including support staff and managing the accounting department. Betty insures that the entire support staff strictly adheres to the firm's policies of quality, courtesy, and professionalism, and that your visit to us will be a positive one. Workflow is continuously monitored by Betty to insure timely service and quality product. The number and level of experience of our staff insures that our clients receive prompt, professional services.